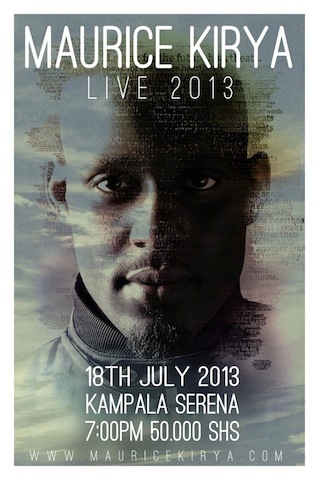 Afro-soul songster Maurice Kirya treats his fans to another of his signature grand concerts this Thursday July 18, 2013 at the Kampala Serena Hotel. 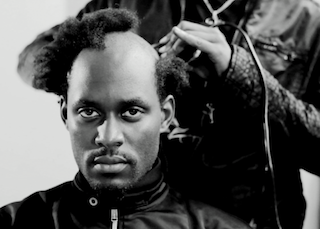 He will ride on the back of a new album; The Book of Kirya, a new look in which he sheared off his trademark Afro and the fact that unlike the last time, corporate entities have been queuing up to sponsor the Broadway-meets-concert musical do. What if some fans are crazy enough to turn up with their poodles at your concert. Won’t a cacophony of barking and screaming be a little too much to bear? [Laughs] maybe we’ll have a kennels section for the dogs. I haven’t decided on that yet. Perhaps there will be some sort of punishment for people that turn up with their dogs but that was all in jest; the bit about dogs in the concert ad. I have worked so hard that corporate companies now know I deliver what I promise in terms of a good experience. You know that Luganda proverb about people believing after they have seen. But even before these gran concerts, I had done The Maurice Kirya Experience [music sessions] with no sponsors for six months. They now understand the power of my brand. And not to sound almost spiritual I believe what I do is a calling and it will reflect 10 years later. I remember in 1999 when I’d move around with my guitar on my back and people would tease me mbu Kadongo Kamu. I guess I’m having the last laugh now. For your fans, it’s been a two-year wait for an encore of your 2011 concert. What treats will they be binging on if any this time around? There was supposed to be a concert last year. But I got let down by somebody, a [prospective] sponsor actually. But the plan from the get go was to do this [the concerts] every year on the grandest scale with a band, dancers and lots of crazy things blowing up the stage. My idea was to always do something big a sort of Broadway-meets-concert concept that celebrates the intellectual arts. The stardust from your RFI Discoveries Award seems to have fizzled. Are you still reaping from that? It left a good footprint for me especially in West African countries. I have fans from Cameroun and Nigeria coming in for the concert this week. Most importantly it boosted my presence online; 26,000 fans on the Maurice Kirya Facebook page, 16,0000 Twitter followers and 7500 people on my Google+. The Maurice Kirya Experience page still has about 3000 fans and my Facebook account already hit 5000 friends. Some of these are from having been “discovered” by RFI. You were part of the Rated Next talent search contest. Why was that important for you to be part of that process? I figured I was right to judge or be a judge for that matter in respect of the fact that I am a true artiste. All the judges brought something different to the experience. Mine was as a live performer. The winner and other contestants are in studio and you never know, they could be on stage with me at my concert. Now who is going around saying that? I have a big passion for acting and I am still researching on how to do it better. To me it is more challenging than singing and maybe I will get to Hollywood. Of course people always laugh when I tell them my dreams. They have been doing that for the past 28 years but look at what I have achieved. I am currently a guest actor on The Hostel but I have featured in two movies; The Painter by Winnie Gamisha and Sins of the Parents by Judith Adong. Was your last album The Book of Kirya intended to be a concept album? The Book of Kirya explains who I am in words and melody. It is the acoustic me, the very sentimental me, the wild. Songs like Blue Dress show the cocky side of me. What would you say to people that feel that Mulembe gwa Kirya is such a vain song? Tell you what? If I woke up dead, that song would explain me better. It is my story really, one in which people can say, “we were there in the time of Kirya, the guy that would go on stage and give us a good time”. The thing about this country is that you are never credited for what you do right but you are only told about what you do wrong. I choose to see the song as a self-prophesy one whose meaning may make sense may be 40 years from now. Much like a scientist in a laboratory, I like to experiment and with most experiments, you may have to knock them around quite a bit before they make sense. Most people would be taken aback if I did dancehall. But the thing about music is you have to be brave and show people what you are made of. People did not make sense of Mwoyo but there are people that now swear by it. This entry was posted in Music on July 15, 2013 by kampala1ne.